Our team are experts in their given fields, not overall generalists. This creates a synergistic force that we feel is necessary to compete in a crowded and competitive marketplace. The Company’s ethos is to find the hard truth in your data and optimize what is working and cut the losers. This albeit is often easier said than done, requires a team dedicated to this philosophy. A team that leaves their emotions and ego at home – dedicated to results! Robbie was a former corporate lawyer and then was CMO and partner of a large supplement company in which he spearheaded online sales from 5million to 25million in a 18month period through direct customer acquisition. He’s in his element when it comes to LTV models and funnel architecture. With an Undergraduate Degree from the University of Illinois at Urbana-Champaign and a Master’s Degree from the Interdisciplinary Center in Israel, Adam is on the cutting edge of all things digital marketing. 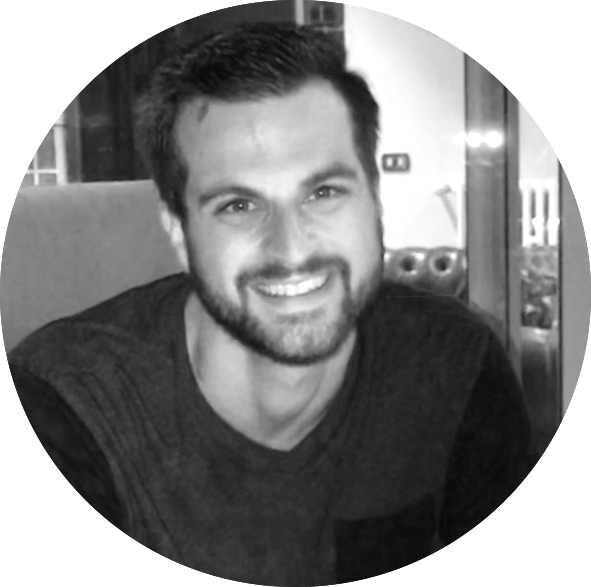 Experienced in profitably managing 7-digit marketing budgets, Adam has experience with nearly every marketing platform and has proven himself a force to be reckoned with in the digital marketing world. With experience in High-Level PPC Work, where he managed high budget accounts in markets across the globe and with a background as an online poker pro, Eyal loves data and efficiency and will do whatever is necessary to get things in order. With over 4 years experience of managing high budget accounts across various marketing platforms, Anastasia has developed an effective set of skills that have proven useful to her accomplishing any PPC goals. She is a motivated individual, with a passion for success and overcoming challenges. With experience running 7 figure budgets across numerous verticals, Stuart has consistently hit the goals that he both set for himself and his clients. His passion for large data sets and getting down into the minutia of a client’s campaign enable him to bring his clients from strength to strength! Paul has helped launch some of the biggest brands currently online, enabling him to gain an in-depth knowledge of the industry. His experience includes media buying, affiliate management, customer service management, sales, and analytics. Paul loves diving into a funnel to see any and all opportunities to increase performance. A former Banker for the Business Development Bank of Canada who took to the Internet in 2012. Since his banking days, Tyson has been refining his Ad skills in the Direct-Response world. Lately, the focus has been directed towards Message Marketing. He has since created some of the most forward-thinking Messenger funnels in the Business. Jairet Crum started out in the startup and app worlds as a renaissance man of digital marketing disciplines but has since set a laser focus on direct-response copywriting. His high standard continues to drive his pursuit of excellence while his quality work has allowed him to work inside elite DR funnels, driving action from sign-up to sale. Currently, he uses his talents to serve the world’s high-level health companies. A veteran TV commercial director and animator, JD Apolo has worked with Fortune 500 companies such as Google, Microsoft, McDonalds and Coca-Cola Corp over the span of more than a decade in the advertising industry. With a Masters from Penn State, Vanessa loves data and has been project manager of consultancy agencies with several members under her lead. She now leads a critical component in the success of Tried and True Media by analyzing our online data. Having studied at one of the most prestigious universities in Colombia, Veronica is highly analytical and can solve problems with a superior ability. With her excellence in project management and problem solving, she is working behind the scenes to solve problems before they exist. Gleb is focused on website conversion rate optimization. Made $19 million additional revenue from the same traffic for clients during last 3 years. Before that he founded a top-10 startups in Ukraine and was featured in Forbes Magazine.